The reason why Bangalore has a flourishing Realty! Property prices remained more or less stable largely due to the competitive pricing coupled with the fact that Bangalore real estate market is driven by the end-users. Let’s delve deeper. The IT capital of India has basically been an end-user driven market because of which developers have always maintained the price levels. When compared to other metros, the city has never been plagued by speculative pricing. Ethical & Professional Practices Make the Market Attractive! The city of Bangalore is more professional and ethical here, which is also mirrored in the quality of construction. Bangalore has been primarily dominated by the serviced-class population (IT/ITeS), thus most buyers in the city opt for home loans unlike business-class and thus even the banks do the due-diligence of the property. The majority of the projects here are constructed under a joint development agreement between a landowner and the developer. The technology sector has contributed a lot to the development of the city by enticing huge investments, both from within the country and overseas. Yemalur is a locality in Bellandur in the city of Bangalore which is positioned in the eastern quadrant of this wonderful city. The place is well connected with the roads and national highways and localities. There is a vicinity to the largest technology cluster of Bangalore i.e Whitefield which abodes Export Promotion Industrial Park & International Tech Park– Bangalore. The location also relishes excellent connectivity to major MNC’s. Well known schools, colleges, hospitals et al are all nearby. Namma Metro Rail Project is also on the anvil of this location. The Prestige Group has definitely established itself as one of the leading and most successful developers of real estate in India by creating its permanent mark across all asset classes. Establishing in 1986, the group’s turnover is near about Rs. 3518 Cr; a leap that has been inspired by CMD IrfanRazack and organized by his brothers RezwanRazack and NoamanRazack. With 210 projects completed with over 80 million sqft, currently the company has 53 continuing projects covering 54 million sqft and 35 upcoming projects aggregating to 48 million sq.ft. of world-class real estate space. 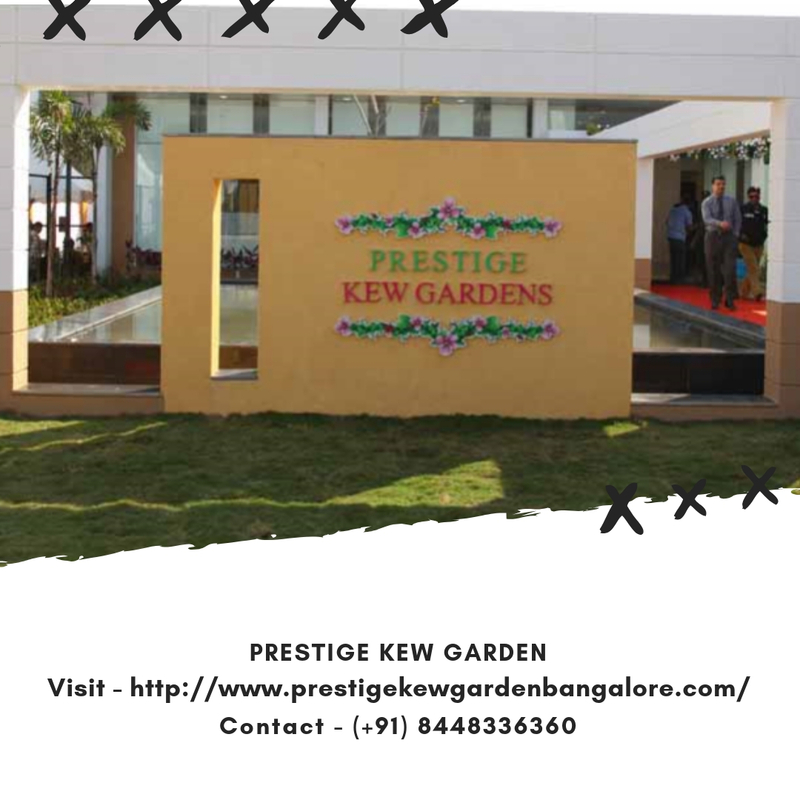 Prestige Kew Gardens is conveniently set up in Yemlur, Marathahalli, Bangalore. This project is ideally located at Yemlur-Marathahalli area which is 14 km away from Bangalore and is positioned between the HAL Airport of Bangalore and the Bellandur Lake. The village has about 4000 residents. Kariyammana Agrahara, Kempapura, Kadubisanahalli, and Marathahalli are its neighbouring localities. MG Road is around 15 km from this property. Proposed Metro Station at Kundalahalli Junction would be the nearest one. Carmelaram, Baiyyappanahali, and Krishnarajapuram are proximate railway station etc. International Airport is just 45 km away. 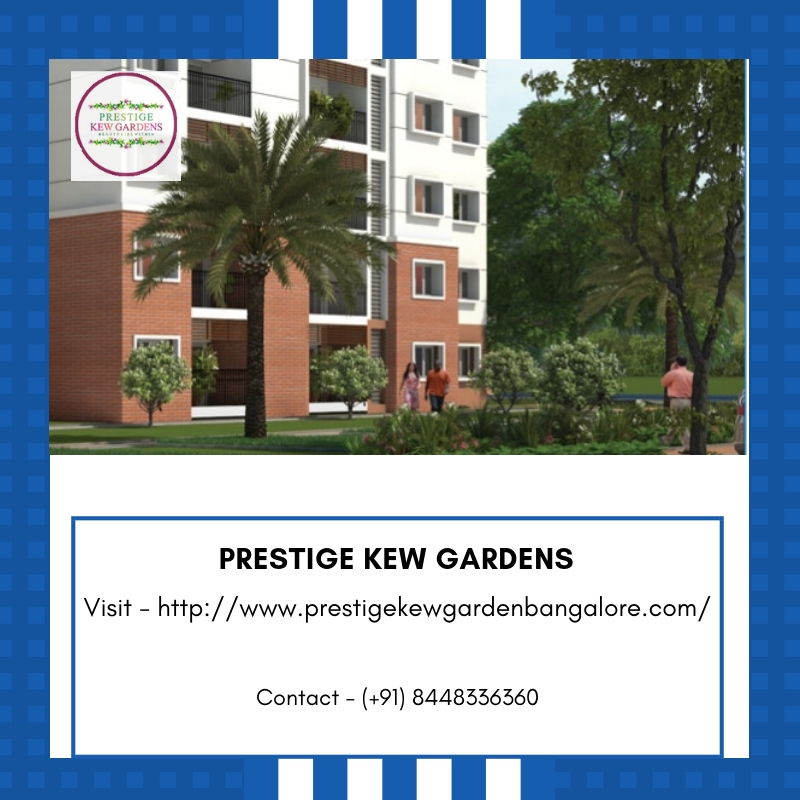 Prestige Kew Gardens is a mid-stage expansion project which can be claimed by Jan 2020. The superb development shall extend across 15.74 acres of enormous land area and will offer 1 BHK, 2 BHK, 2.5 BHK & 3 BHK residential apartments straddling from 615 sq. ft. to 1607 sq. ft. in area. There are 979 units in all in the township, accommodated into 16 low-rise blocks having 4 floors each. The apartments have vitrified tiles in rooms, anti-skid tiles in the balconies, granite kitchen counter and many other comforts for residents. There will be well-demarcated play area for children, squash court, multipurpose hall, swimming pool, club house, mini theatre, gym, sports facility, meditation centre, shopping centre, 24-hour power & water supply, ample car parks, professionally trained maintenance staff for the maintenance of the property, and peripheral CCTV coverage for the safety of the residents. Prestige Kew Gardens price ranges from Rs. 41.20 Lakhs - 1.07 Crs. powered by nifty and possession linked payment plans.